It’s so easy to forget what’s really important. Yes, our kids have wish lists a mile long and we can get caught up in wanting bigger and better things. When we sit down and think about the worries that are troubling us, are they worries that even matter? Forget about them. Focus on the simple pleasures life has set in your lap. Giggling kids because they’ve beaten you during family game night and little fingers interlocking yours during an emotional family movie night. The love of family. It’s pretty amazing how little we need beyond that, to simply be happy. This past year has brought a lot of soul searching and internal questioning. “What makes me happy?” has been a big question. I’m an over-thinker that often misses what’s right in front of me. Because of that, simple has been my word for this year because looking at things simply helps me to see what I’ve been missing. I thought I needed to have and do all these things for my kids and husband to be happy. Nope. They just wanted me. Not the stressed-out over-scheduled always cleaning mother that I had been. The relaxed, free, simply happy mom that they have been getting a lot more of lately. I can live without whatever I thought I needed, but I can’t live without the happiness and love of my family. What about you? 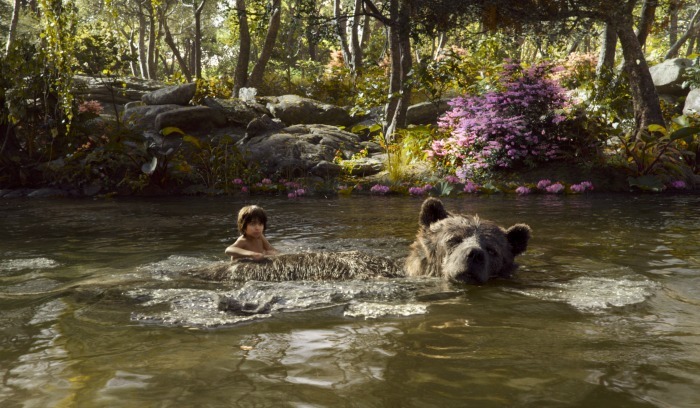 How does your family reconnect to your simple bare necessities of family? Bring home The Jungle Book Blu-ray and The Jungle Book Soundtrack today! Plus, check out my Inside Look at The Jungle Book Bonus Features and Ultimate Guide to The Jungle Book Products for some adorable stuff.